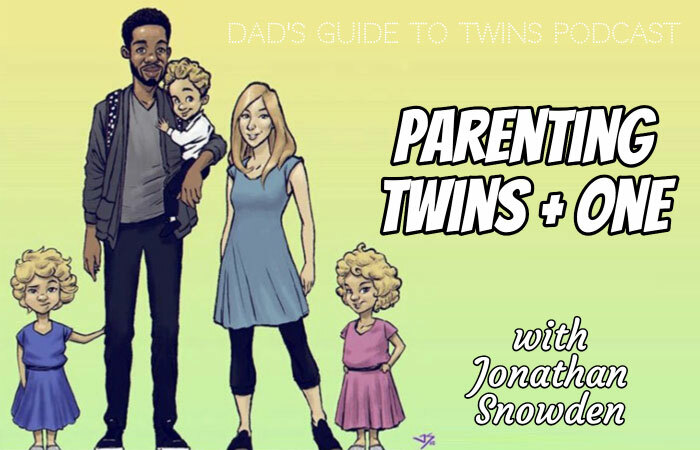 In this episode, I chat with Jonathan Snowden, an amazing artist, and father of twin girls (plus a toddler). 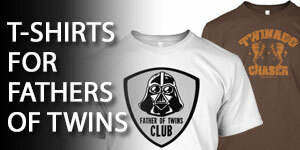 Joe: Today we’re continuing our father twins interview series with father of twins Jonathan Snowden. 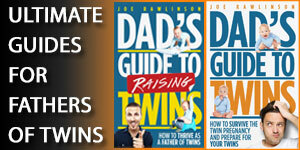 Joe: Today’s show is brought to you by my book Dad’s Guide to Raising Twins: How to Thrive as a Father of Twins. This book guides you from newborns to infants, toddlers and beyond. 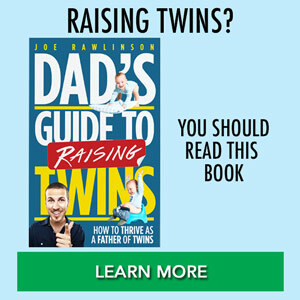 Learn more about the book and get your copy at RaisingTwinsBook.com. 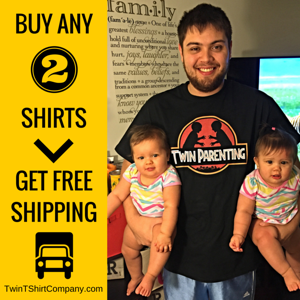 Joe: Today we are chatting with father of twins, Jonathan Snowden, who’s got twin girls and a toddler boy. He shares some of the ups and downs they experienced in welcoming their twins into the world. And the challenge of transitioning from having twins to twins plus one. Let’s jump right into the interview with Jonathan. Jonathan: We have three kids. My wife’s name is Cassandra. But she usually just goes by Cassie, we have twin daughters, which we had first. Their names are Elizabeth and Lucy. Then about a year and a half later, we had another child, his name is a Watson. Joe: Let’s rewind the clock a little bit back to when you received the news that you were going to be having twins. Tell us about some of the thoughts you had and your family situation at the time. Jonathan: I was at work actually, whenever I found out about it, it was one of those like, the thought of having twins was one of those things were just you kind of think, but before you actually get the news, like it’d be really cool. Maybe if instead of one child, you know, we have to, you know. What were the odds of that? And then it’s just one of those passing thoughts that I kind of had before we found out. So, whenever we actually found out we’re having twins and I was like, man that’s cool. At the same time, that’s scary, because you’re kind of like, prepared for one. But then it’s like, Whoa, there’s, there’s more. And it was a mixture of happiness. And I wouldn’t say terror, but just fear of the unknown, I guess. But mostly happiness, you know, because it’s, it’s just, it’s crazy that you’re able to bring one life into this world, but to bring two in at the same time is crazy. Joe: I like how you described it as a mix of happiness and terror and shock mixed in. How did the pregnancy go? Jonathan: It went surprisingly well. Towards the end, though it got pretty rough on a Cassie. In situations like that, you really just have no idea how much you love a person until, like, you’re only like, you just, you just realize and see yourself doing stuff that like, you just never really thought you’d be in a situation of like doing for that person. And it was rough towards the end. But man, I look back on it, and we really do love each other. Towards the end, she got this skin irritation thing that you can you can get, if like, your skin is like really, really just stretched out. She got this really bad rash that was just over her whole stomach area and stuff. And she was she was in a lot of pain and she just got really uncomfortable towards the end. We did everything we could to, you know, make her feel as comfortable as possible. But it was a lot of relief for everybody when we just went ahead and had the girls. Joe: How far did the twins make it in the pregnancy before they were born? Jonathan: I think we were only like about two weeks short of their due date. I think it was or is it a week I think it was either one or two weeks short. Which was pretty good. We had to do a scheduled c-section because Lucy was breech. She was kind of like turn sideways. She didn’t have her head down. So they didn’t want to risk having one who was ready to go (Elizabeth) but then have issues with Lucy later on. Joe: Were there any complications with birth or with your girls? No, no complications. It’s pretty cut and dry. It was a really crazy experience. Because, like, the room was, huge, metallic and just clean. It was like something out of a movie. Like, “Independence Day” or something like it was, it was crazy. It was crazy to look at. I saw our kids inside of her and coming out. Joe: Our girls are born via c-section as well. And getting to see that you’re right, it’s very surreal. The environment that you’re in, and then to see, to see these babies emerging out of mom is very crazy. So, that’s great that you could be there to witness that. Now that your girls are almost three, what are some of the biggest surprises or challenges that you had with them? Jonathan: Something that always kind of gets me is just how much they’re like us in different ways, in different aspects. And how, how much they change. They don’t necessarily just stick to, like, one characteristic act a certain way. They interchange with each other. One day, you know, Elizabeth might be the loud one, in your face, and wanting to do everything. Then the next day, that’s Lucy, and they just, they just interchange with each other with their personalities. I guess that’s one of the things that just surprised me is just how far they’ve come and just how other they’re doing something different, something new, they’re teaching me something different, something new every day. I mean, we tell them all the time to be patient. Because with twins, there have to be certain times where they have to wait because, you know, we’re dealing with one about something or we’re helping the other. I notice they’re teaching me patience and Cassie as well because you just kind of have to, to let them figure things out and just provide an opportunity and space for them to learn stuff on their own. That’s really hard to do with all the different things that we’re thinking about as adults and parents. Your brain kind of automatically wants to think, Well, you know, like come on, let’s go ahead and get this over with. Let’s get this done. We got a million things to do. Sometimes we just need to be patient and just exemplify what we’re trying to teach them. Joe: I love how you had some great observations there about how your girls switch personalities or switch attributes. We’ve seen that too in our girls. Jonathan: Oh, I mean the possibilities of it happening again were pretty astronomical. But that was a lingering thought I guess the thing that we always kind of came back to is the Lord’s not going to necessarily put something on us that we’re not going to be able to bear. I was just like as long as you know they’re healthy or whatever I just don’t really care we had like a girl named picked out and everything just in case and you know we had a boy named picked out just in case and and we had a boy. Joe: Your girls were pretty young when Watson was born or even when you when you’re expecting him. 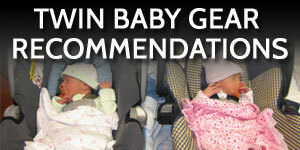 Is there anything that you did , in particular,to help them get ready for a new baby. Jonathan: When we found out we were going to have another kid, we started trying to implement a little exercise where we would give them little baby dolls and we would tell them to be soft with the baby dolls. Because at that point they’re pretty crazy with any toys they got, they throw their stuff around and sometimes fight over it. Whenever they were playing with them just be like now remember you have to be soft with the baby and we did that for a while to get them ready. They kind of knew something was up because Cassie’s stomach was getting bigger. They always gravitated more towards her and so like they kind of got more clingy towards the end of her pregnancy. It was almost like they just knew like something’s up, something’s about to happen. We had Watson and you know brought him home and the first night, they started poking him. They tried to include him and stuff for the most part. Now, to this day, they get along pretty well. Like surprisingly well. Joe: Did you see any behavior changes in them? Some kids will be jealous or have more temper tantrums or want more attention because there’s a new baby. Jonathan: I know that they already kind of did that a little bit with each other. Because like I said, Cassie was the parent that they gravitated towards the most. And there’ll be times where, you know, like, she could only hold one at a time. They were trying to get Cassie to hold them both at the same time. And still try to, like, kick the other one off of mom sometimes because they kind of wanted her to themselves. And I mean that that’s still kind of exists to a small extent now, not like it was before. Joe: Now that your girls are three, have you potty trained them already? Jonathan: That is actually the the current activity that we’re engaged in right now. And I like going back to your other question. I think that this is probably one of the more challenging things because we, we’ve kind of gotten over the initial stage of, I guess, like them realizing and knowing that, okay, if I need to use the bathroom. We’ve gotten to the stage where they know that now and that they they act on that now. And they let us know. And we help them out now or we’re just trying to work with the other extreme where they just want to go to the toilet just to visit the toilet. Not necessarily to use it. Joe: Potty training is always a process it doesn’t happen overnight. One thing that we had some success with was we did dry pant checks. So with our girls (and our boys), we rewarded them and celebrated when they actually went to the potty. But at random times we would say, “are your pants dry?” And if they were then we would celebrate that and give them a reward. So maybe some positive reinforcement outside of the bathroom would also encourage good behavior that you’re looking for. Jonathan: I’ll admit, Cassie is the Wonder Woman of waking up early in the morning. I’m still trying to work on the art of waking up early I think after six months of like three hour intervals of feeding the kids like my clock just broke somewhere in that process. I think after that though, like like my brain just shut down. Just like nope, I’m not waking up early like that anymore. But usually, our morning routine starts about six. I hear her stirring up and she’s starting to get ready from about 630. That’s whenever we actually start like preparing like, like water. We usually still get the girls like milk in the morning just a little bit. And you know, I start getting them ready. Watson he usually how floats around like basically, the priority is getting the girls ready. Watson he can just kind of float around drink is water, whatever he’s drinking. And just kind of like, you know, just chill and like, see what’s going on. He likes to run around and just do that anyway. And then whenever the girls are ready, and they have their shoes on. That’s when we move over to to get Watson ready. He usually hates it the most. Because he doesn’t like his diaper changed in the morning. He doesn’t like putting on clothes in the morning. Because he just wants to stay home. And then we round up everybody at some point and I get dressed and get ready. We drive to Starbucks first most of the time. So Cassie can get some coffee. Then we go to the daycare, we drop the kids off. I’m usually in charge of Watson because he’s the heaviest now out of all the kids. So I usually carry him in and Cassie walks with the girls. Now me and her we actually work at the same place. So then after we drop them off, we just go to work. And after work, we pick them up, bring them all home. Nowadays, we asked the girls as soon as we get home like you need to go potty and use the bathroom? They do that if they need to, you know, Watson usually goes to bed around about like 6:30-7 o’clock most of the time. Like he’s tired, like rubbing his eyes and stuff around about that time. And then like the girls, they’ll go to bed, you know, sometime around about like, you know, 7:30-8 o’clock, something like that. Because that’s usually when they start to get tired. And sometimes we have to go make them go to bed earlier. If they didn’t take a nap during the day because they’ll get really overtired and just really cranky and it will be hard to go to bed for them. We pick up clean up, do whatever we need to do so that the next morning we can just, you know, get everything and run. Then relax or do whatever. I’ll just go ahead and do whatever I gotta do to help out then go to bed early and then wake up early in the morning. I wake up like four so and try to designate like about two hours or so just like doing art stuff. Joe: I know you do some pretty cool art. That’s how I discovered you on Instagram. You sharing some of your some of your works there. How do you think your family life has influenced your art or vice versa? Jonathan: Having kids has reinforced the fact that you know, I need to really focus in and make sure that I just don’t have artists’ block like even if that means that if I’m having a hard time figuring something out, work on something else that will help and then come back to it. You know, like there are ways to work around it. So I think that’s the that’s the thing that’s really changed the most. Joe: Well, I admire you waking up early to work on something that’s important to you and what you love. When I was getting Dad’s Guide to Twins off the ground, I’d wake up early before work. Get some get some time in there before I went off for the rest of the day. Joe: Hope you enjoyed that chat with Jonathan about his twin journey thus far. If you would like to connect with Jonathan and check out some of his amazing art, I’ll link up to his Instagram in the Show Notes for this episode. Once again. 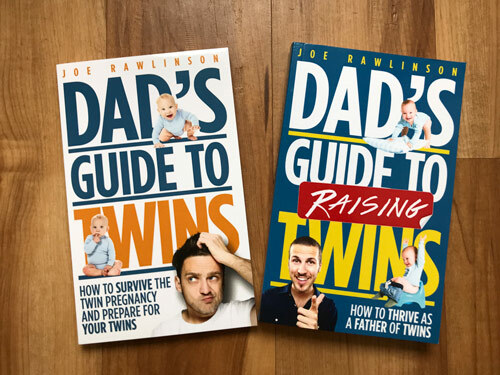 Today’s show is brought to you by Dad’s Guide to Raising Twins: How to Thrive as a Father of Twins. 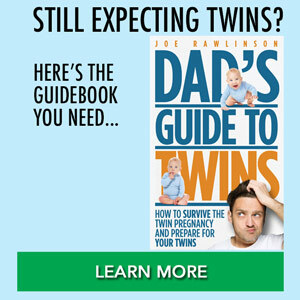 This is my second book for fathers of twins and will help you from the newborn phase, infants, toddlers, and beyond. Pick up your copy at RaisingTwinsBook.com.